Need a web site? Let us show you how to build your own! 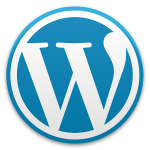 Our preference is to help individuals and businesses to create and maintain their own web site using the WordPress platform. We believe this is a great solution because it puts the web site owner in complete control of their web presence. You are no longer at the mercy of your web designer or web maintenance professional. If you have a price update, a phone change, a new promotion or a product needs to be removed, you can do all of that yourself when it needs to get done. We can point you in the right direction or do a desktop share with Google+ Hangouts or SKYPE to walk you through things. Our goal is for you to be as self-sufficient as possible. We can help with the creation of digital images and videos if you want to spruce your site up a bit. With our assistance you can develop a site that works for you and acts as your sales department representing your company and brand; driving revenue 24/7 365 days a year. If you would like to learn more about how we might work together to achieve your desired goals, please fill out the below contact form and we will get you the information you need.